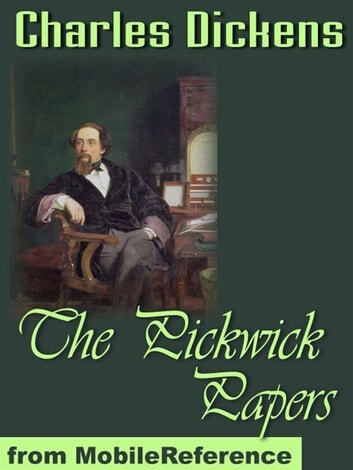 The Posthumous Papers of the Pickwick Club, better known as The Pickwick Papers, is the first novel by Charles Dickens. It was originally an idea by the illustrator Robert Seymour, although in his preface to the 1867 edition, Dickens strenuously denied this, writing that "Mr Seymour never originated or suggested an incident, a phrase, or a word, to be found in the book. "At any event, Dickens was asked to contribute to the project as an up and coming writer following the success of Sketches by Boz, published in 1836. 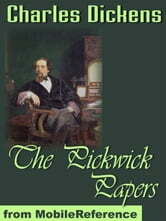 Dickens, supremely confident as ever, increasingly took over the unsuccessful monthly publication after Seymour had committed suicide.With the introduction of Sam Weller in chapter 10, the book became the first real publishing phenomenon, with bootleg copies, theatrical performances, Sam Weller joke books and other merchandise. Excerpted from Wikipedia, the free encyclopedia.